I'm always telling people that I think we should celebrate our birthdays the WHOLE month. I am following my own advice. While my birthday isn't for a couple more weeks, I am already celebrating!! I haven't been to Connie's since my last BD. So, it WAS time! 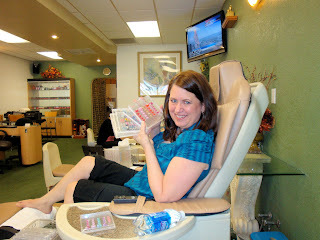 She took me out for a pedicure at her favorite place. They do actual ART on toes and fingers. It's amazing. 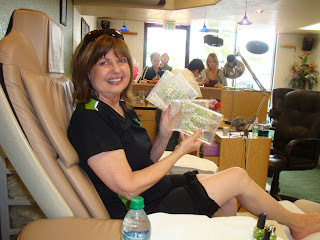 Connie is looking at all the designs for St. Patrick's Day. And this is just a small fraction of the choices! There are boxes and boxes to choose from! Picking a design is the hard part. Staying awake is also difficult....this is so relaxing!! Connie has four leaf clovers. I have the ocean, complete with seaweed, bubbles and kissing fishies! Can you see this? They use toothpicks to paint with. It's amazing to watch. 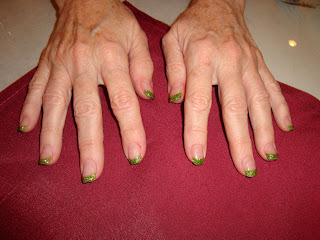 St. Paddy fingers on Connie. And it's off to lunch right after. We did lots of other fun things and darn it....no pics! We went shopping and then we met her daughter and husband for dinner at the beach. I LOVE the beach! We walk out to the end of the pier and eat at Ruby's, a 50's style diner. It was chilly and it started raining AFTER we got in the car to leave. Perfect! 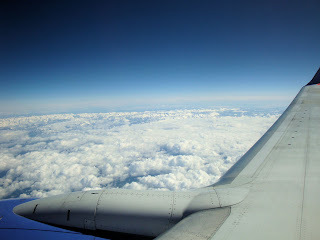 I fly standby. That means I get the last seat on the plane. But, hey, it's free! That is thanks to my Flight Attendant daughter...woo hoo! 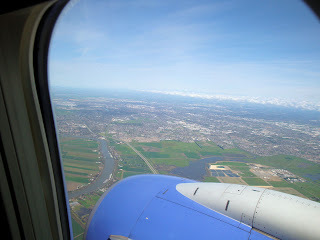 This time the plane was hardly full and I got to sit by the window. I always get a middle seat. But, not this time. By the way, I think the middle seat person should get both armrests. It's only fair. After all they are stuck in the middle. Just sayin. 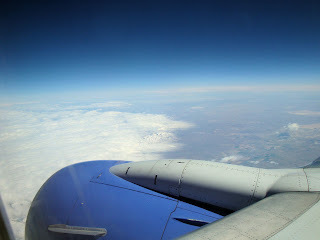 This picture is right after take off. The planes in Orange County take off STRAIGHT UP, it's like being on a carnival ride. That's for "noise abatement". ugh. 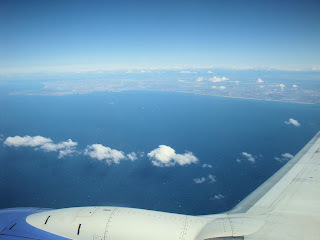 Then we vear out over the ocean. 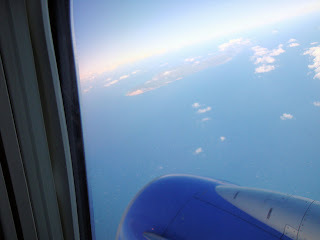 I could see an Island. Can you see it? I thought it might be Catalina, but I didn't see any buildings. So, probably not. Looking back at So Cal. Bye Bye! Oh. This is why nobody picked this seat. Oh well. 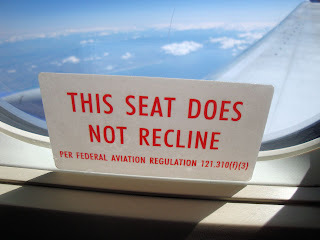 The chairs don't really recline much anyway. Am I right? 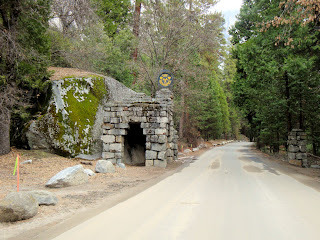 No we are heading up the state and it's the beginning of the Sierra mountain range. Underneath all these clouds are mountains. I usually look for Yosemite. 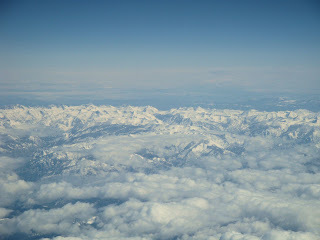 I imagine my son (who lives there) is under all these clouds somewhere. 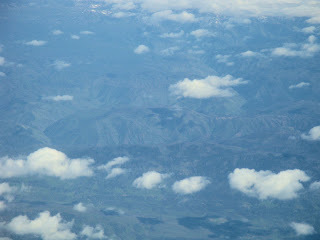 Must have just snowed on these high mountains. So pretty. We are starting to get close to our destination. This is probably around Modesto somewhere. 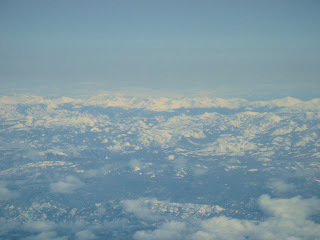 I always look for Lake Tahoe. Not sure. Is that it off in the distance? I need some binoculars! This looks like where we live or close to it. Look in the middle of this photo. 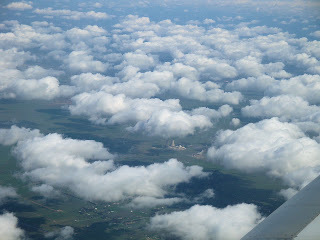 Do you see the 2 cooling towers? That is on my drive to the airport. They are HUGE when you are up close. 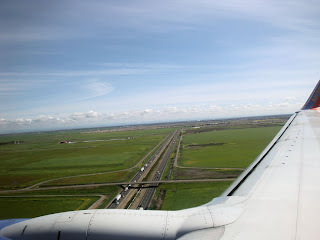 This is the beginning of the Sacramento area. What a pretty day. There it is! 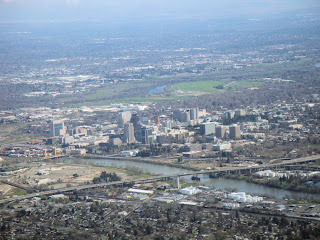 Sacramento. 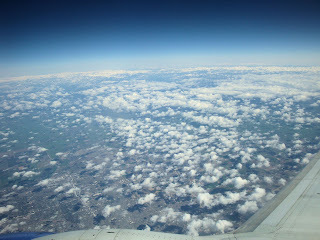 Looks different from the air. We are coming down. 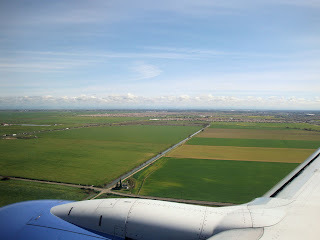 I love the farms that surround the airport. Here is the 5 freeway that is on my way home. It was good to be home. Missed my bed. 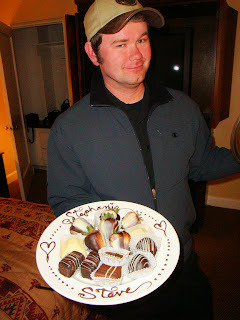 And my hubby. And my doggie(s), and my kitty. Woke up to this white stuff. 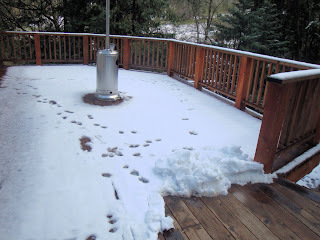 Just told hubby this morning that I was really looking forward to summer. I can imagine being really hot and wishing for winter. 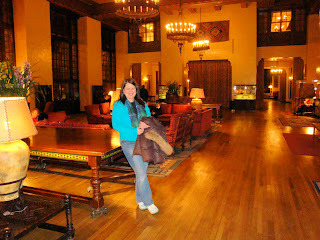 Cross this off my "Bucket List"
I have always wanted to stay t the Ahwahnee Hotel in Yosemite. It's been a dream. It's so expensive....I wondered if I would ever do it. Well, I did! My son works at that Awahnee and has been there for more than a year. I've been bugging him to get me in and he did!! 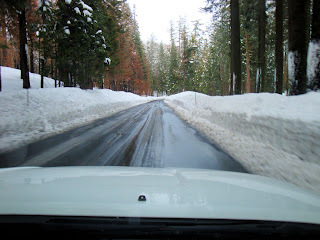 There was snow on the ground on the way in. This the view from inside the car. This is the lookout point. 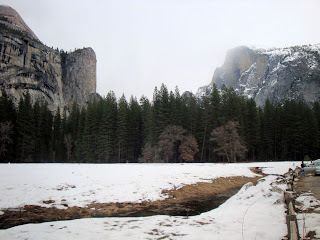 If you look in the background....way back there...you can see El Capitan and Half Dome. 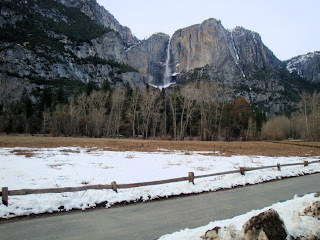 This is a quick pic of Bridalveil Falls from inside the car. 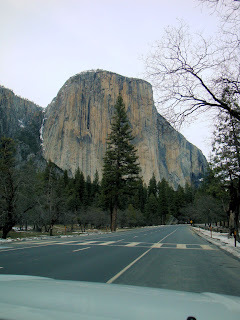 One of my favorites, El Capitan. Pictures never show you how big this really is. You can be right in front of it and it would hurt your neck to look up to the top. And, if there are climbers on it, you would need binoculars to see them. It's amazing! 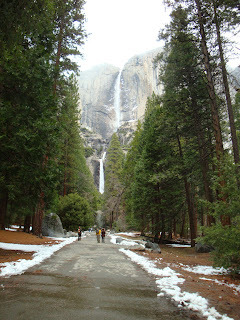 This is Yosemite Falls. There are better views from the other side of the valley. We're here!! 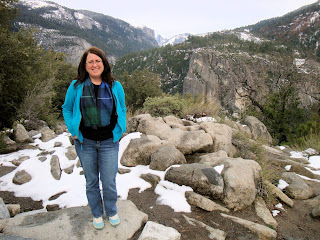 I have been to the Ahwahnee many times. I've just never stayed in a room there. 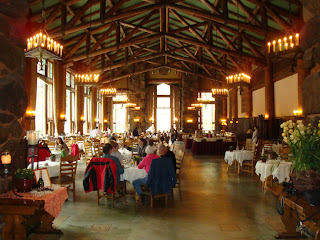 When we are on our family vacation, hubby and I love to go to the Ahwahnee for breakfast. We also go sit in the Great Room to use the internet. So, we are very familiar with the place. Now, we are going to be actual "guests". Woo Hoo! This is the Great Room. So much history! Presidents, movie stars and even the Queen have stayed here. Wow. This room is so cool to just sit in. You will see lots of people on thier laptops. My sweet son. 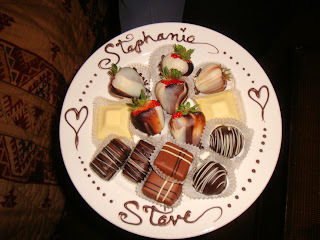 He had this treat made special for us! Isn't that terrific? Pretty AND yummy. This deserves a closer look. 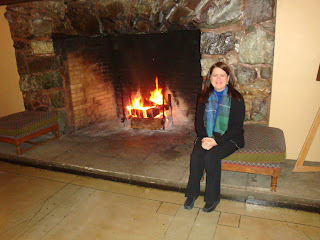 son's duties as Lobby Porter at the Ahwahnee. 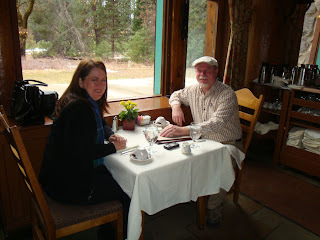 Here we are at breakfast in the dining room. This room is spectacular! And, the food is top notch! Here is a bigger view of the dining room. Isn't it cool? Are you sitting down? 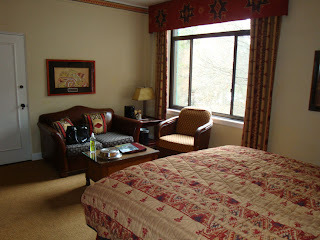 This is the room that we stayed in. While this was a 'dream come true', I have to tell you, I was expecting something else. This room is $450 a night, after taxes it will go over $500. I guess I was expecting more luxury. 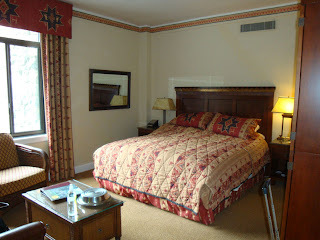 If I had paid the actual amount for this room....I would have been pretty bummed. 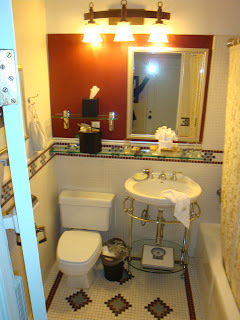 The bathroom is cute....but is it $500 cute? 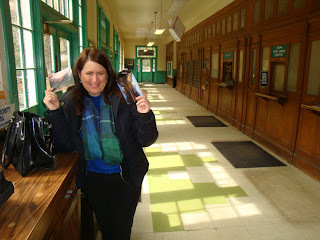 Before we go, I want to send postcards to our granddaughters. 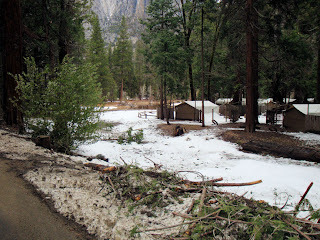 This is the tent cabin we stayed in last summer on vacation. I'm really starting to look forward to this year. A really pretty view on our way out. I think this may be one of the most photographed places on the planet. It's so pretty. 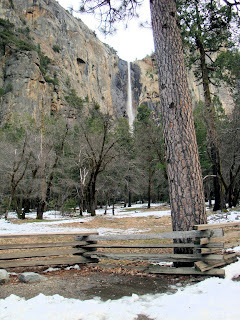 This is Yosemite Falls. You can the the "Upper" and the "Lower" falls from here. There are always photographers at this spot. Brrr. It's chilly up here. It feels like it's raining a little, but that is really the mist from the falls. 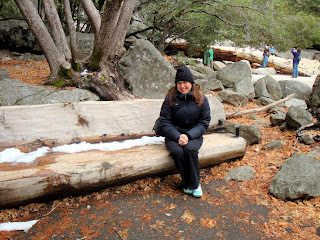 Turns out that all my favorite parts of the Ahwahnee Hotel are free. I love eating in the dining room and you don't have to be a guest to do that. I love sitting in the Great Room. I love just walking around the place. And now, I won't be wondering what it's like to stay there anymore. Thank you son, for making one of my dreams come true!! You rock!!! I am really good at putting things off. I think of Scarlett, "I won't think about that today...I'll think about that tomorrow". Yep. That's me. 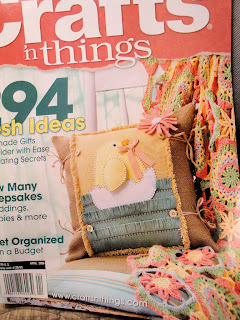 I bought this magazine last spring and I fell in love with the crocheted throw on the cover. Isn't it pretty? 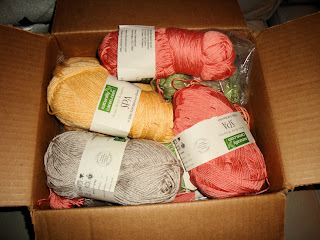 I liked it so much, I bought all the yarn to make it. I gave it a try and (admittedly) I could not seem to figure it out. So it all went back in the box and put away for "another day". I'm ready for Spring and I'm ready to tackle this project. I really want to see it on my sofa!! I have a pretty good start (I have to make 32 of these), and I enjoy making them while I watch tv. I have decided that not all of the projects I have abandoned are worth doing. I give myself permission to let go of the projects I have lost interest in and don't want to finish. I'm not going to finish a project just for 'finishing' sake. So there. 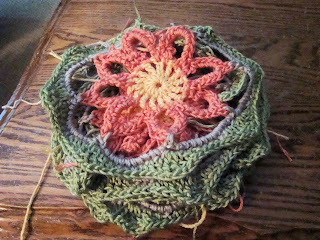 This pretty little throw is something I truly do want to finish. I'll keep you posted. 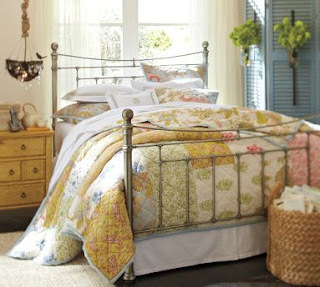 Alaina at "Live Creating Yourself" is giving away this beautiful bedspread. You need to hurry as the drawing is tomorrow. Isn't it pretty? I wish you well in the drawing, but I must tell you that this will look sooooo fabulous on my bed! Oopsie! I somehow got my wires crossed and put the opposite names with the necklaces in the post below. It's all fixed now. My apologies to Betzie and Julie. 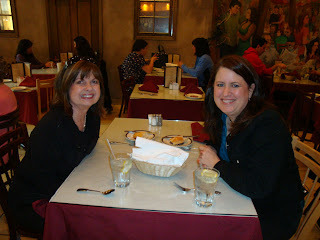 I invite you to visit both of their blogs and see all the wonderful things that these two ladies create! !